"Oh, there'll be opposition, all right. But we... we're not going to let th-that stop us... " The man stammered and gripped the arm of his oak swivel chair, as if to keep his words under control. He had been staring out the casement window. He turned toward the woman behind the desk seated obliquely to his right. 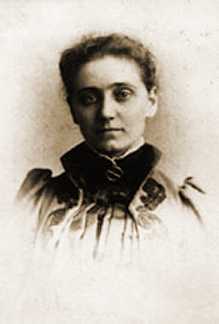 Jane Addams, in the severe gray suit which she habitually wore, her hair looking molded in dark waves around her face, cut in sharply. "You know what the sweatshop owners will say, John? They will say just as they have in the past! That they are doing a valuable service to children in these hard economic times. The parents need the extra income and the children can learn trade skills from their little jobs." "Nonsense!" Altgeld bolted forward in his seat, as if he were going to launch himself. "How can anyone say such things? The children float from one job sweeping, delivering cash, or shining shoes to another. When we get our statistics, we will be able to show that these children rarely stay at one job longer than a few weeks because of the bad conditions, so they never learn anythingexcept perhaps to make small change, in the case of the Italian shoeshine boys." The man's voice grew harsh and he scowled at the woman. "Miss Addams, you must see them coming through here all the time. They undercut wages of heads of families in some of the unregulated trades like the garment industry and box makingChildren should be in school!" Jane Addams, surprised at the governor's agitated response, thought to stem the man's flow of words. "Don't take on so, John, she said trying to adopt a soothing tone. I am merely stating the obvious objections, so that we can _deal_ with them." She spread her hands in front of her on the desk and smiled. She looked up as her office door opened. Alzina walked in and quietly pulled the door shut behind herself. She took the one vacant chair in a far corner of the cherry-paneled, octagonal inner sanctum. She had not realized that Miss Addams had visitors. There were two men and three women in the room. Alzina recognized the jolly-faced, red-haired one as Doctor Josephine Milligan, who was the resident physician at Hull House. The tall, square-faced woman seated next to her was Florence Kelley, the proposed inspector of factories for the state of Illinois. The man with the short brown, bristly haircut looked familiar to Alzina, too, but she didn't know his name. He glanced quickly at the young woman with the piled-up blonde curls as she walked in, then he continued talking to Miss Addams. "My men have been out mustering the vote," he said with a nod of his head toward the man at his right. "And I think we have just enough to carry, so... so... keep your people ready to move!" Miss Addams, seated across from the door, had noticed Alzina come in and presented her to the intense speaker, who happened to be the governor of Illinois, John Altgeld. _Now_ it was clear to Alzina why he looked so familiar. The newspapers, the _Tribune_ in particular, had been caricaturing him almost daily for his workers' rights decisions. The talented cartoonists had vied with each other in depicting Altgeld as a sort of demented and deformed gnome. But he appeared normal enough to Alzina, even if strikingly tight-lipped and pale. Altgeld had reason to be tense. As a defender of the working people, he had made some people more than a little unhappy and the Republicans were pulling out every stop in the book to unseat him in the next election. Such things were far from Altgeld's mind at the moment as he struggled to focus on the issues at hand. The governor fought back a little twitch in one of his cheeks as he nodded to Alzina. Any time he became heated, Altgeld got a mild palsy, a vestige of what was called Chickahominy fever then, later known as malaria, picked up during his stint in the Civil War. Altgeld came from that class of people who actually fought in war. Not from the group of men who sold moldy beef to the troops, but did not fight. Some of these others later wrote memoirs about how their sharp trading during the Civil War was the basis of their Chicago fortunes. Altgeld's treasure from that war was his old friend, Chickahominy fever. Maybe because he carried the palsy and the fevers around with him like baggage, he continued to understand the poor. His parents had been poor. They were immigrants from Germany. There were no farewell gifts to set the young man on his way into life when he struck out on his own. There had been no work near home for Altgeld after the Civil War, so he had trekked one hundred miles barefoot, his sickness going and coming, to find menial labor in Topeka, Kansas. Like Lincoln, Altgeld had educated himself. He became a lawyer. And he made money in downtown Chicago real estate. It pleased Altgeld to remind his critics of this. He asked them how many anarchists they knew who were putting up million-dollar office blocks like his Unity Building. Such pleasures were fleeting ones to the governor. Altgeld was a very lonely man, not a hale fellow well met. He was not a magnet to men the way many politicians were. He had a harelip. He had a cowlick so bad that this was the reason for his cropped haircut. It was shaggy and furlike. He was medium-sized and stoop-shouldered. He walked awkwardly, sometimes seeming to drag himself along. He may have shared the disease that Jane Addams had, a curvature of the spine. Some people thought Altgeld looked sinister. But from across the room, Alzina did not see him in that way. She thought he looked dignified. A wave of sentiment overcame her. She was in awe. Altgeld could feel a fit of muscle spasm coming on, so he took a deep breath and closed his eyes a second before continuing. "You know... everything in a bill like this is dependent upon the accurate collection of case studies. I would like to see us get case studies that are so convincing that, well, that they'll be referring to them a hundred years from now!" Everyone laughed at what they thought was the governor's little joke. "Why do you think I am joking?" asked the governor. He struggled to keep the muscle in his cheek under control. "My friends, don't you see? This is a work that may have lasting benefits for our children and those least able to better their own conditions. We shall be needing at least eight or nine caseworkers to go into these sweatshops and factories and speak to their fellow workers in their own languages. Experience tells us that only a minority of these people have much of a command of English... "
Alzina moved over to Miss Addams and whispered a question in her ear. Miss Addams handed a form to Alzina, who blurted out, "I've got our translator! She speaks Czech, Italian, German... This girl will do perfectly!" The governor stopped speaking. He gave a startled, short laugh and told Alzina to catch her then, before she got away. Alzina nodded quickly and fumbled with the door, feeling that the eyes of all five people in the room were on her back. Her face burned with embarrassment for speaking out loud during such an obviously important conference. Alzina strode across the foyer and presented Emma with the form. Her cheeks were still flushed as she approached Emma, but the look in the girl's eyes caused her mood to shift. She felt a surge of satisfaction as she thrust the paper into Emma's hands. "Thank heaven you came this morning, Emma! You can get a pen from our volunteer over there. Fill this out right away, dear. These eight or nine jobs will be snapped up by this afternoon, before they are even a reality." Emma asked how soon she would know if the job would be definite. Alzina said that Emma should see her by nine the next day. Such opportunities to help someone on the spot were a rarity, so she could not help the broad smile which crept over her normally prim face. "Here now, you go see our volunteer," said Alzina. "Grace will assign you to a spare bed in our working girls' dorm. Now I really must run and tell about this project to our other residents!" Alzina waved a hand at Emma and she disappeared around a corner in the hall, her petticoats swishing drily. The form! She filled in the blanks quickly, jumped up and approached the matronly volunteer. The volunteer, Missus Yates, said that she had instructions to show Emma to the working girls' dorm. They walked down a darkly paneled hall, in which Emma could smell lemon wax, and turned into a wing of the main building. "You'll be safe enough here, my dear," said Missus Yates. She pointed out a freshly made-up bunk for Emma. Missus Yates bustled back out the door. Emma sat down on the stiff bunk. There wouldn't be much room for her things on the one shelf on the wall and the few pegs for her clothes. But then, she didn't have many things. Emma looked about her at the other bunks. Some had rag dolls or colorful quilts draped over them to give them a personal touch, as adolescent girls so often do. One girl had a coffee can filled with daisies on her up-ended trunk, which served as a bedside stand. Emma was eager to see the faces that went with the belongings. They were all on the day shift, so she had awhile to wait. She put down her battered, blue valise on her bed and took out her doll, Martha. Martha was a rag doll. She put Martha at the top of the bed and tucked her in at the neck. Then Emma started toward the door, eager to tour the building. She stopped. She looked back at Martha and then around at the other beds. Whoever they were, they left their dolls around. Catching her breath, Emma went on out the door. It was a risk, but she was willing to take it. In a low, half-timbered building next door, Emma found what was called by the residents of Hull House a New England-style cafe. The cafe was low in price and not particularly New England in style. More properly, The New England Cafe was a dietary lab school, the brain child of two of the progressive residents of Hull House. These women invoked the words dietary science on all appropriate, as well as inappropriate, occasions. The food was meant to be educational as well as nutritious. The two dietary scientists ordered fresh vegetables from truck farms near Chicago. They set some of the immigrants who needed work to painting educational signs for the cafe's walls. The signs, in several languages, touted the virtues of vegetables and milk. Some sign painters got carried away and mixed languages on a single sign. The spinach on one sign was saying in Hungarian that it built up muscles and the milk bottle answered in Italian that it built up strong bones. Emma liked the biggest picture of all, the one signed in a flourish of green ink by an artist named Szabo. In this huge picture, all the vegetables were holding hands and dancing around. These vegetables were not saying anything in particular, or maybe they were just humming quietly to themselves, Emma decided. Despite the strong cases that the milk bottle and some of the vegetables pictured had made for themselves, she ordered coffee and a roll, since it was hardly past breakfast time. Also coffee and a roll cost only a nickel, while soup and buttered bread cost twenty cents. A voice called out Emma's name. She turned. Alzina Stevens was two people behind her in the line. Miss Stevens insisted upon picking up Emma's tab. Emma realized that she might have had the soup, but it was too late to change. She followed and took a seat at the blonde woman's table. Alzina sat down and the curls gathered at the top of her head bobbed as she began explaining the job in an animated way to Emma. She told Emma how every time a child was killed in an unsafe job, the employers were able to treat this as an outlandish, freak accident. "Do you have any idea why that is?" she asked. Emma didn't know. She hoped this was not some kind of a test question. A panic-stricken look crossed Emma's face. "This is important to understand, Emma," said Miss Stevens, tapping the table with a gloved finger to underline her point. "Employers can do this because each case stands on its own. We have had no body of evidence and the poor cannot even read the English language. They don't know how to view the larger picture of industrial conditions. What voluntary reporting has been done by the packinghouses and factories is grossly undercounted. Only the most serious injuries and fatalities get mentioned at all. The unavoidable ones." Miss Stevens smiled wistfully, looking down at her gloved hand with its one cotton-stuffed finger. Many things are not worth recording, from the employers' perspective. "But now, Emma, we have been charged by Governor Altgeld to fill in those gaps." They chatted for quite awhile, then Miss Stevens took Emma to the clothing bank that Hull House ran. They came up with a blue suit that would fit Emma. Alzina got Emma a clip board and several fountain pens from the storage room. Holding the pens and shiny, new clip board made Emma feel very professional. That night she went to bed smiling. All the bad moments when she had felt her life so near to the edge seemed very far from her now as she hugged Martha, her rag doll. The other girls had been too tired to talk much, when they came in to the dorm that evening. They had only said "hullo" and had dropped right into bed. Emma still hadn't met the girls in her dorm by the next morning. Somehow, she had slept through the entire morning wake- up. No one bothered her, since it was her first day. The other girls had filed out and down the hall to the cafe about six in the morning, ready to head to their various employments. Finally, Grace, the volunteer came and wakened Emma. She informed her that Miss Stevens was waiting for her in the library. Emma jumped into her clothes and didn't even think about eating. Miss Stevens rattled off the itinerary to Emma. All the shops and factories ran along Halstead or Polk Street. As they walked, Alzina told Emma about the giant colored map that they planned to include in the book on the Hull House neighborhood. Nothing so ambitious had ever been attempted. Not only were types of businesses going to be charted, but a color code would establish the ethnic distribution of all the families charted, so it could be seen where concentrations of particular groups were situated. Emma wasn't sure of the value of all that, but she knew that finding out the conditions of child laborers was a life and death issue. Several children in her old tenement had died in one way or another, due to their jobs. She questioned Alzina about who the parents were who put their children out into such unsafe conditions. Alzina looked sidelong at Emma, as if deciding. "Well, I hope you won't take this amiss, my dear, but it's the Bohemians, the Italians, and the Germans who work their children to death out of a sheer excess of thrift. Our preliminary studies show that they lead the other groups in this. Sometimes it is to pay off the mortgage on a tenement." Emma was glad that her family had not reached such a desperate stage as yet, but she knew that they were close to it. She only nodded as Miss Stevens went on. "Not that it is always the parents' fault. Oh, no! Many of those men in the garment trades are old and tubercular by the age of thirty. And good children want to help,_ want to_, you understand. Here we are... You'll see." Alzina lead Emma up a narrow flight of stairs in a brownstone building. They walked into a stuffy, dusty room where a stocky man with a waxed moustache paced among rows of workers, snapping at his suspenders, as he urged them to hurry up in Bohemian. He turned and saw Emma and Alzina standing there and motioned them over. Emma's first response was to stick her fingers in her ears in response to the shrill whine coming from the ten or so knife- grinding machines. She braced herself and took her fingers out, so that she could hear, even though the noise was so bad that it caused her eyes to water. Alzina's experienced eyes scanned the workers at the heavy cutlery machines. She noted the puffs of metal and bone fragments which poured out, unfiltered, into the air of the room. Two faces looked obviously below age among the cutlers and Alzina asked to speak to those. The floor manager, Mister Novak, lead Emma and Alzina over to the sandy-haired, moon-faced boy that Alzina pointed out. He was grinding knives on a machine. They wanted to ask the boy a few questions about his work. He, of course, spoke no English. The manager told them that the boy's name was Jaroslav... Jaroslav Huptuk. Emma stood next to Jaroslav and shouted to him him to stop for a moment. He looked at the boss, who nodded. The manager didn't want trouble. These inspections were mandatory under the new factory inspection law of 1893. The one that Altgeld had rammed through the legislature. The manager spat into the sawdust as he watched the proceedings. "Ask him the name of the President and what year this is," Alzina shouted. Emma shouted her questions to the boy in Bohemian. "Prosim, kdo je americke president? Rozumis? Kdo je. . ?" The boy wobbled his bloated head from side to side and said, "Don't know... don't know," over and over in a weird singsong. Alzina whispered to Emma that she feared the boy was feeble- minded, as well as being a dwarf. He would be weighed later by Doctor Milligan. Alzina wrote a note that young Huptuk should be weighed and where this would be. Emma held the measuring tape as Alzina measured Jaroslav. He smiled and babbled as they worked, since he never got breaks at this time of the day... or so much individual attention! Alzina said to Emma that Jaroslav was the size of a normal boy, aged eight years and three months. The boss said he was almost sixteen. "Do you know that the kind of grinding at which your owners have employed this boy has been prohibited in England since 1863?" Alzina folded her arms and fixed Novak with a stare. "No, lady. I never heard of no such a thing, he replied attempting a breezy manner. That ain't none of my business, there. You got to take that up with the big boss... " Things were starting to tense up. Jaroslav bent double coughing. It did not surprise Alzina, though it sickened Emma, when he coughed blood into a handkerchief. Alzina and Emma examined several other underage workers in the shop, but Jaroslav's was the most severe case. His face kept coming up in Emma's mind as they walked down the stairs and out to the street. Jaroslav had such big, round eyes, seeming to Emma like the Christmas Eve carp on the dining room table. The sad, vacant look. The nobody home expression. Does that Huptuk boy know that he will soon probably die? Emma asked suddenly. "How do you know that?" Alzina looked at Emma, as if she had given away a secret. "Well, the blood and... " Emma stopped. Alzina decided to put a cheery face on it. "Now see here, Emma, that doesn't always mean anything. I've seen young people bounce back from a worse stage than that young Huptuk had. Try not worry about them all, Emma. You can't. They will just rob your sleep. I know." A boy with curly reddish-brown hair and an impish grin looked familiar to Alzina. This happened all the time. Either this boy or his twin had been working at a notorious box factory just the week before. Seeing him standing at the cutlery machine, Alzina made an initial assessment that he was rachitic, and afflicted with a double lateral curvature of the spine. At the box factory the week before, Alzina noted that they used arsenical paper and no protective clothing. The arsenic had begun to affect the nerve endings in this lad's right hand. She saw him at the machine now, trying to compensate with his left hand, though his initial impulse was to use his right. He couldn't do fine movements with that hand and complained of a constant tingling in his fingers. Alzina had made the box factory send him home, awaiting the arrival of a physician's statement. She asked the employer here whether there was such a statement for this obviously diseased boy. Emma had peered at the paper over Alzina's shoulder. "There! I knew it. Look at that. As a trained physician, I find this boy in a physical condition... and with no signs of desease... If I see one more of these certificates from doctors who haven't learned to spell!" Alzina threw the paper on the floor. The manager picked up the paper, dusting the sawdust off it onto his pantleg. He mumbled something in Bohemian, which Emma thought it better not to translate. Alzina, who needed no translation, could feel herself growing annoyed and she quickened her pace as they left the building. Emma had developed a sort of walk with a skip in it to keep up, since Alzina was a tall woman and Emma was not overly tall for her fifteen years. Alzina asked if Emma thought she had written all the important points. Emma nodded and Alzina explained that the next step for them was to sit down at the big oak table in the Hull House library that evening with the other teams. They would review and chart the results of the first day's inspections. "I'm sure you will enjoy meeting Missus Kelley," said Alzina. "She's rather... unforgettable." "And so are you!" exclaimed Emma. Alzina didn't know how to take this, since she had meant that she had mixed feelings about the overpowering Missus Kelley. She looked at Emma and merely smiled. Copyright � 1997 Gloria McMillan and Fly Neleth Press. All rights reserved.